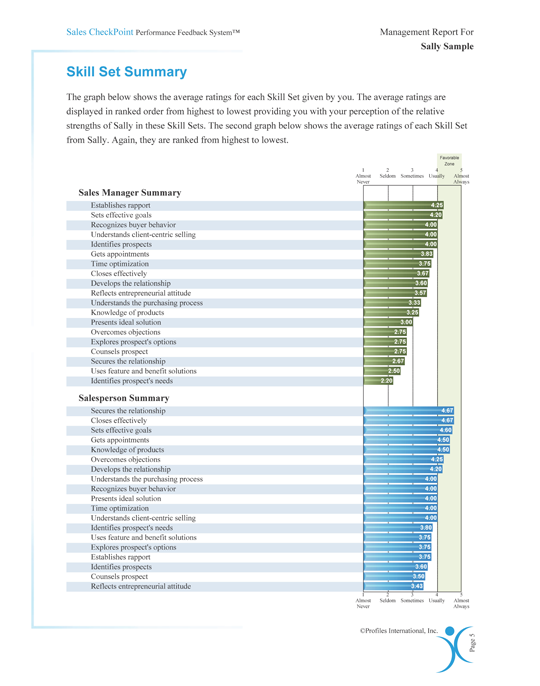 The PROFILES SALES CHECKPOINT™ helps sales managers evaluate sales people. The PROFILES SALES CHECKPOINT™ is a 180-degree feedback system that helps sales managers evaluate sales people, surface their development needs, and align sales priorities. It provides useful information to support better coaching and communication, leading to higher sales person productivity and satisfaction, and lower turnover. 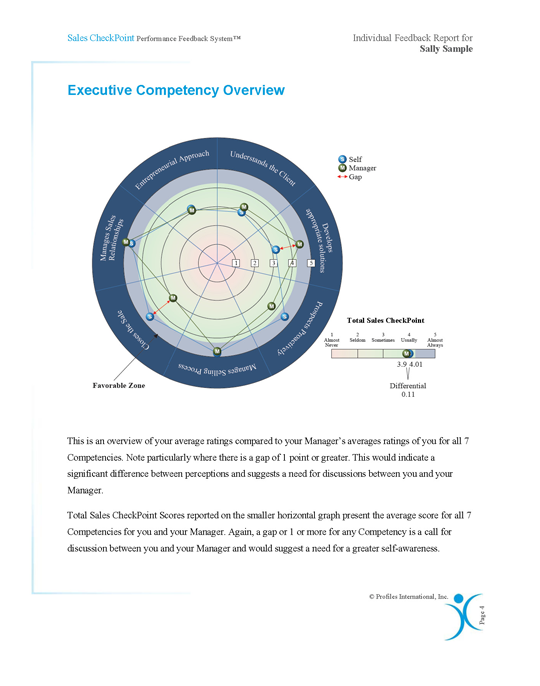 Overview of the Skill Sets identified as critical by sales manager and sales person.